O saw Agro Industries Pvt. Ltd. branded as ‘Agrosaw’ is one of the leading manufacturers of post-harvest technology equipment in India. In 1984, Sanjeev Sagar founded Osaw Agro Industries Pvt. 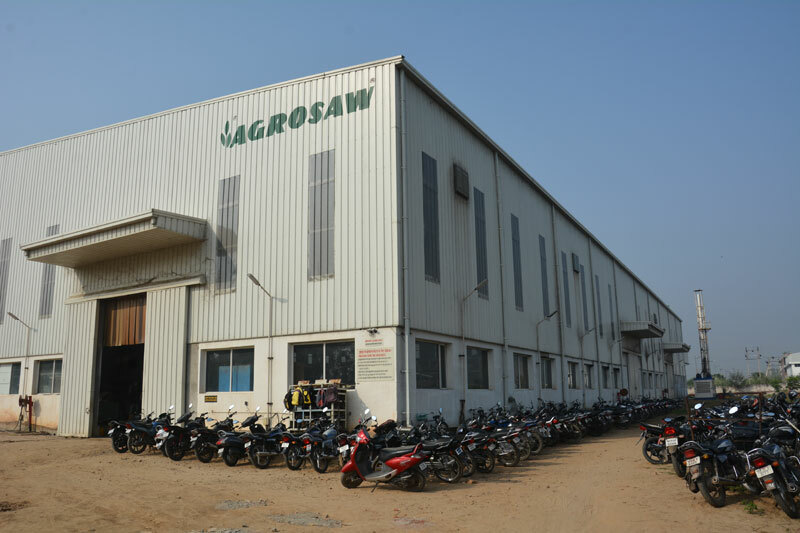 Ltd. aka AGROSAW and began its first manufacturing plant and operations from Ambala Cantt. Today Agrosaw is one of the India’s leading manufacturers of machines and plants for cleaning, grading, sorting, handling & storage of all types of seeds/grains/spices/pulses/oilseeds/fruits and vegetables etc. Agrosaw has expanded its operations steadily and ventured into designing, manufacturing, supplying and installing daal/pulse mills, millet processing plants, mash feed mills, pellet feed mills etc. With its two manufacturing units at Ambala Cantt and Saha, Agrosaw has state of the art manufacturing facilities to produce world class machines/plants. Agrosaw is a professionally managed organization and has a dedicated team of more than 300 employees. Our rich experience of more than 30 years has made AGROSAW™ a worldwide name to reckon with. With the world’s largest range of post harvest equipment, Agrosaw has more than 10,000 installations in over 90 countries including India. To be a leading provider of post harvest equipment for seeds, grains, spices, pulses, oil seeds, fruits and vegetables worldwide and to be known for its state-of-the-art turnkey solutions. To empower the customers for efficient handling of post harvest produce through use of Agrosaw’s latest technology machines /plants to ensure higher product quality & better yield. To create a conducive work environment that will attract and retain a committed team of high caliber professionals, so as to keep AGROSAW at the forefront in its areas of operation.